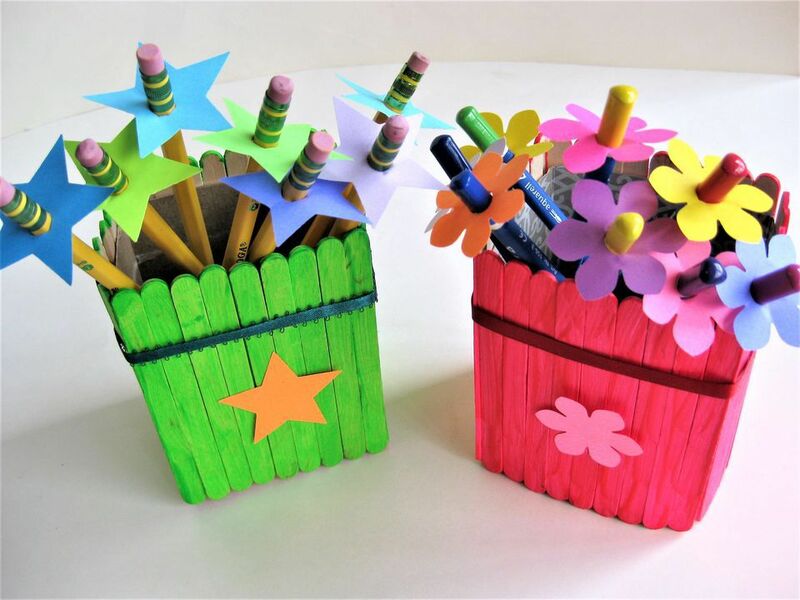 Everybody knows the crafting value of popsicle sticks, so we've compiled a list of the most creative and versatile crafts that use them. From holiday decorations to easy afternoon fun, your kids will be sure to love each and every one of these easy popsicle stick crafts, so break out the crafting glue and get creative. Make a cute cactus friend out of popsicle sticks in just a few easy steps. You can also get creative with some funky googly eyes or silly accessories. This is the sweetest popsicle stick Christmas ornament we've seen yet. Make an old-fashioned sled with just some popsicle sticks, glue, and paint for a perfect homage to a favorite winter activity. AHH! Don't be too frightened by these cute popsicle stick monsters, this craft is super easy and we think it's much more adorable than scary. Get silly with crazy hair, googly eyes, and big teeth. This is a perfect snow day craft. Once the kids are done playing outside, whip up some hot cocoa, pull out the glitter, and get a little messy! As a bonus, these make for adorable ornaments or window decorations. This adorable craft soars high with just popsicle sticks, a clothespin, and paint! If you've got any little aviators in your house, this is the craft for them. Beat the heat this summer with some DIY popsicle stick paper fans. This is also a cute and clever way to display your kids' drawings. 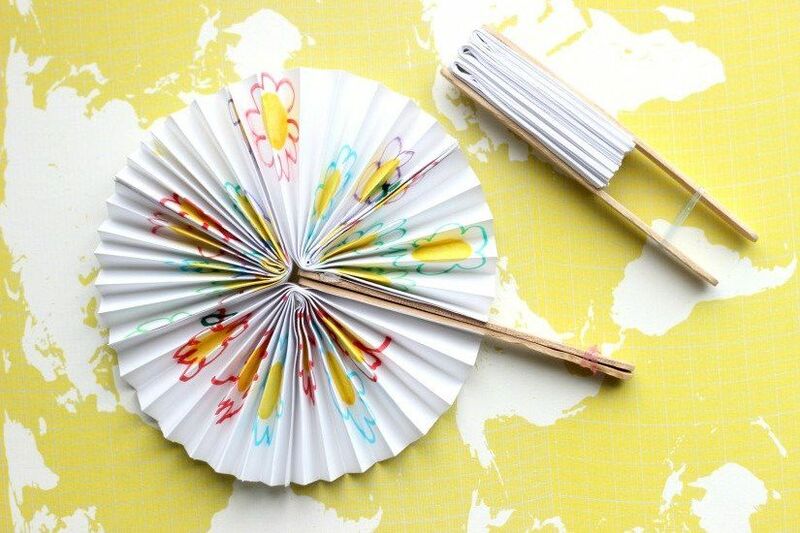 Have them create their own designs on a piece of paper before folding it into a uniquely decorated fan. This is a classic and easy spring craft. Pick a color and line your house with this adorable creation to welcome the new season. This adorable popsicle stick rocket ship craft is fantastic. Your little astronauts will be over the moon with this craft that's unbelievably easy to make! Heroes come in all shapes and sizes, especially these sweet popsicle stick superheroes. Make up names and stories for these little guys with your kids for hours of fun! We love this craft for its creative use of pool noodles! Who knew they could be used to make such an easy but creative popsicle garland for your next summer bash? No crocodile tears with this easy and fun mini croc craft. Pipe cleaners and popsicle sticks are a classic crafting combo, so head south with this cute tutorial–just watch out for the teeth! What's a better craft for a popsicle stick, than a popsicle? Make your own craft popsicles with some pipe cleaners. Whether your favorite flavor is cherry, blue raspberry, or grape, everyone will love this sweet summer craft! A popsicle stick take on the classic handprint turkey, this Thanksgiving craft is super easy and makes for adorable kid-made holiday decorations around the dinner table.